One area that we’re especially interested in, when it comes to 3D printing, is its applications in research and development. Many inventive companies, such as Sports Labs, have bought 3D printers specifically for the purposes of rapid prototyping. In contemporary research and development, 3D printing is already an important tool. The rapid prototyping capabilities of a 3D printer are something to behold. 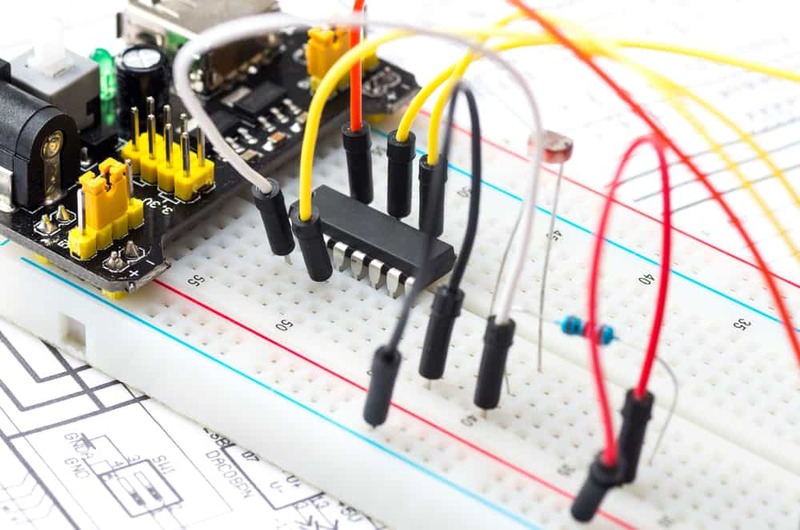 In the hands of a skilled engineer the transition from concept to prototype to minimum viable product can look a lot like magic. What about the future though? The very cutting-edge of research and development? 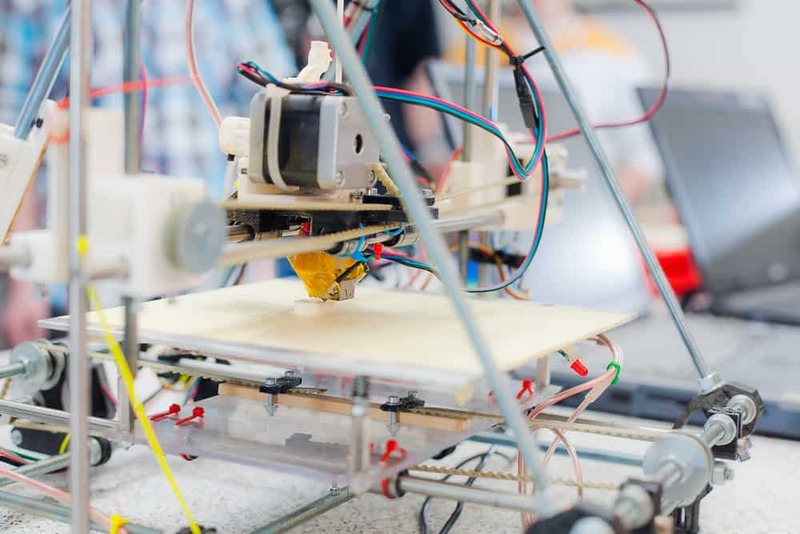 We’ll take a look at 3D printing’s current R&D capabilities, its limitations, its potential beyond R&D, and how we expect 3D printing technology to fit in with the future of research and development. There are already incredible companies out there making inspiring things. Here are some of the 3D printing companies making the biggest splashes in the mainstream press. This company got Hollywood A-lister Robert Downey Junior on board, delivering a 3D-printed bionic arm to seven-year-old Alex. The story is heart-warming, and demonstrates the life-changing potential of technology that can easily be adapted to different people. 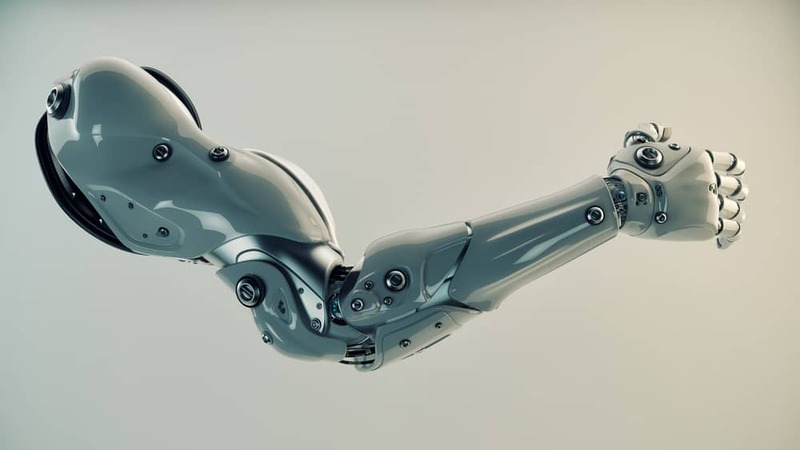 Bionic arms already exist, of course. But the cost can be prohibitive. Especially for children, when you consider the need to create different arms as they grow up. 3D printing has the potential to drastically bring down the price. This will make bionic limbs accessible to entire audiences that otherwise just couldn’t justify the expense. If you still remember being a kid, you probably recall wishing you could just make your own toys at some point. That’s a powerful thing to tap into, and one British company that pioneered this was Makies. They developed tech to create unique dolls using 3D printers. They eventually shut down, but it is rumoured that their underlying technology was acquired by an American media giant. This goes to show the massive interest in, and potential of, 3D printed toys. Literally making music, Left Field Labs used 3D printing in the creation of their music box. They allowed users of their website to create their own custom music box cylinders, effectively printing music from plastic. With so many 3D printer solutions, 3D Systems printers are used in a huge number of fascinating applications. In one example they helped American celebrity Jay Leno engineer replacement parts for his classic car collection. Some of these vehicles were more than 100 years’ old. So the alternative options for procuring new parts would have been extremely limited. We’ve talked about research and development in the food industry before. And 3D printing will have a big impact here. Ideal for printing complex chocolate-y confections, it’s a cool way to experiment quickly and easily with different structures, ingredients and flavour combinations. Some high-end restaurants, are incorporating 3D printing into their menus. One such eatery is the two-Michelin-starred Enoteca in Barcelona. Chef Paco Pérez uses the Foodini 3D printer made by Natural Machines to craft an intricate coral reef. It’s made from a seafood puree which he adorns with foam of carrot, hollandaise sauce, egg, caviar and sea urchins. The outer commercial limits of 3D printing are already well-colonised by early adopters and quick thinkers. 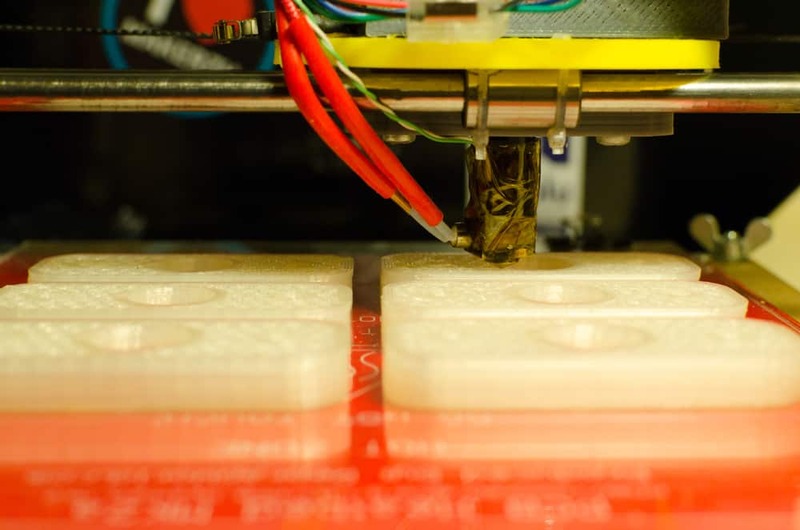 One area where commercial 3D printing ventures are particularly strong is medical technology. Here, the high adaptability and flexibility of 3D printed devices perfectly fits the demand for very individual solutions. It is this theme of cheap, large-scale but bespoke product design that has dominated early commercial 3D printing, and forms the backbone of the 3D printing surge. The surge in 3D printing allows for a lot of rapid research by dedicated 3D printing companies during the process of making individual products. They have accomplished a vast amount already. But where does 3D printing fit in with a less specialised, less 3D-printing focused research and development process? The government is really keen to support innovative companies. Such businesses drive job creation and growth in the economy which is good for everyone. So they have an incentive called R&D tax credits which provides this support. Under this scheme, for every pound you spend on qualifying research and development, you’ll receive a tax credit worth up to 33p. This quickly adds up. The average annual claim that we prepare for our clients is worth more than £60,000 – and for many, it is much more. Broadly speaking, to qualify you need to be taking some risk – this means that the outcome of your R&D is not guaranteed to be successful. And you need to be seeking to resolve a scientific or technical uncertainty. If you are working with 3D printing technology, it is a strong indication that your activities may meet these criteria. 3D printer vendors helping companies digitise designs for use with 3D printers. Companies experimenting with materials to improve the elastomeric properties of the 3D printed output. Advanced layering processes to achieve unique results with a 3D printer. In our experience 3D printer claims contain particularly high levels of consumable costs which can be included in the R&D tax credit claim. So capturing all these costs and maintaining appropriate records is an important part of our service to them. Even industries that haven’t considered 3D printing to aid R&D, can benefit from 3D printing technology today. The ability to make and interact with 3D models quickly and easily in the real world affords 3D printing a special place in any existing manufacturing process. This is as a research and prototyping tool. But equally it has an important role in research and development alongside new and developing technologies. Create a 3D model of the final product using traditional computer aided design (CAD). Examine the 3D model with the use of augmented and virtual reality devices to find and fix obvious flaws. Create a preliminary, incomplete prototype using 3D printing to find potential engineering issues that are harder to detect using a computer-generated model. Create rough prototypes of smaller working parts of the complete final product, and of modular modifications. Gain a rough picture of how the final product might be put together, and what challenges a chosen route might present. Engage in traditional R&D and engineering work to create a finished minimum viable product. Of course, in reality, stages will occur in a different order, and tools and concepts from different stages will overlap or be left out completely. However, this gives an idea of how 3D printing could fit in with an established manufacturing business’s research and development process. Already using 3D printing? Or a different prototyping technique? As we said, if you’re using 3D printing technology in any way (or prototyping products), that’s a good indicator that you’re carrying out work that counts as research and development according to HMRC. If you’re carrying out work that includes qualifying research and development expenditure, then you should be claiming R&D tax credits. These help you lower your corporation tax liability or even receive a cash payment. ForrestBrown has one of the largest teams of chartered tax advisers specialising in R&D tax credits in the UK. And they are complemented by chartered accountants, former-HMRC R&D unit tax inspectors and sector specialists. It’s a winning formula for you that optimises your R&D tax credit claim. We take the time to visit your business and understand your processes to maximise the value you can receive from their R&D tax credits. Get in touch for a chat and we’ll see if we’re a good fit with your business.